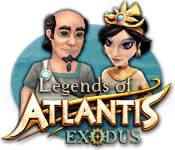 Legends of Atlantis: Exodus is rated 4.3 out of 5 by 68. Rated 5 out of 5 by usalyn827 from Interesting challenge Great game. Not a hard game to play and is relaxing. Rated 5 out of 5 by blondie2003au from legends of atlantis this game entertained me for days on end. even the kids love it, keep up the great work hope u make a second version . Rated 5 out of 5 by Nocturne from I LOVED THIS GAME AND HAVE REPLAYED MANY TIMES I don't know why they haven't put out a 2nd and 3rd (etc.) of this game. It was fund and made you have to think about strategy to get done on time with all the requirements achieved. Can's speak to the sound because I always turn off the sound on all games since I usually play while multitasking. 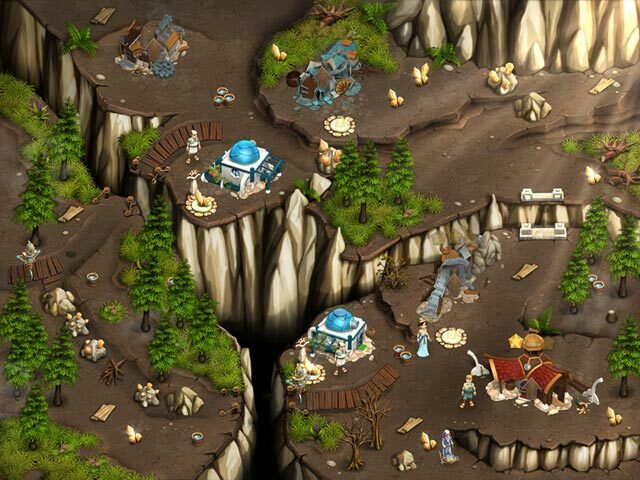 Rated 5 out of 5 by filosota from A great time management game Another great game, with beatifull graphics. One of the best games. Please go one with this kind of games! I love it very much! Rated 5 out of 5 by winnerkooties from The Best Time Management Game Ever! This was my very first time management game and I absolutely love it! I've been playing it everyday for 3 months straight, and it's a challenge every time. There are so many levels of learning...it's like the gift that keeps on giving. The graphics are incredibly real and detailed, and the music seems to fit the play very well. The developers have paid attention to detail, even down to the workers standing there tapping their feet, and looking at you and waving when they are idle and ready for a task. You start with one worker, and the object is to clear paths, gather resources, and build structures to create wood, diamonds, stones and water, plus others. You can use up to three men to work for you, plus you have characters that kill robbers and monsters that are in the way of the workers. You can play timed or relaxed mode. I started in relaxed, but graduated to timed mode and really enjoy the challenge. There are quite a few achievements that you get credit for, and if you get all of them, and if you play timed mode and achieve expert in all of the levels, then 3 bonus stations open up at the end of the game. I highly recommend this game. I have downloaded trials for several other time management, but this one is the best. Rated 5 out of 5 by NatashaD from I want MORE!!! I love this game - have played it through about 8 times and never tire of it. I love time management and building style games, but some are visually too busy and have too many extra details and requirements. Legends of Atlantis - Exodus meets all my needs and I only wish they'd bring out another in the theme! Rated 5 out of 5 by joyjoy2dwrld from Wish I could buy it!! Very addictive! My free hour was up in no time. It felt more like 10 mins. If I could afford it I would absolutely be glued to my screen. I loved that I could mark several things @ once to have the character to do. The game makes you think ahead. 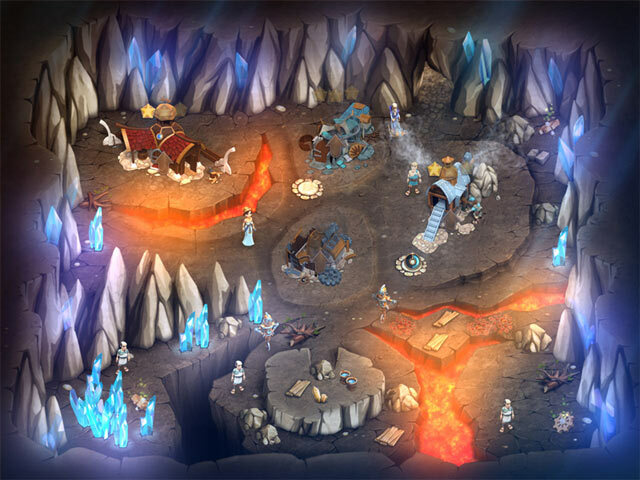 Rated 5 out of 5 by sierrastrike from Fun and challenging TM building game. Was very fun and I didn't run through this game quickly. I had to replay the levels some to get expert on timed mode. You have to figure out the level before you tackle it, had me thinking. Rated 5 out of 5 by Zellian from Time Management Champion! I obviously missed this one when it was first released, but I picked it up as a Daily Deal and it was one of the best purchases I've ever made on BFG. This is a thru-and-thru time management game, and it has it all. The graphics are absolutely fantastic for a casual game, and a lot of care has been put into the interface and pacing system. The music is very good, but thankfully can be turned off if needed. The sounds are also excellent. There isn't much of a story but in the end it's not very important. I am enjoying this game quite a lot and I am hoping there will be a sequel. Highly recommended. 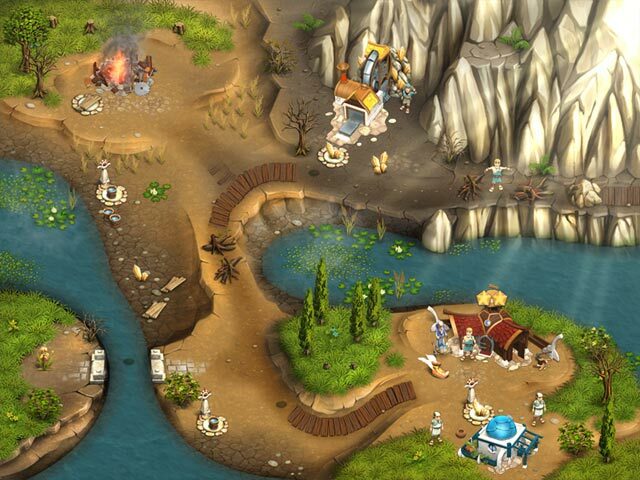 Rated 5 out of 5 by Falbalila from Hope for a Legends of Atlantis 2! So much fun! Loved that game! Try it!